UniDesk is a GUI made by Brandon Cornell in a GUI contest to compete for the GUI with the shortest code. 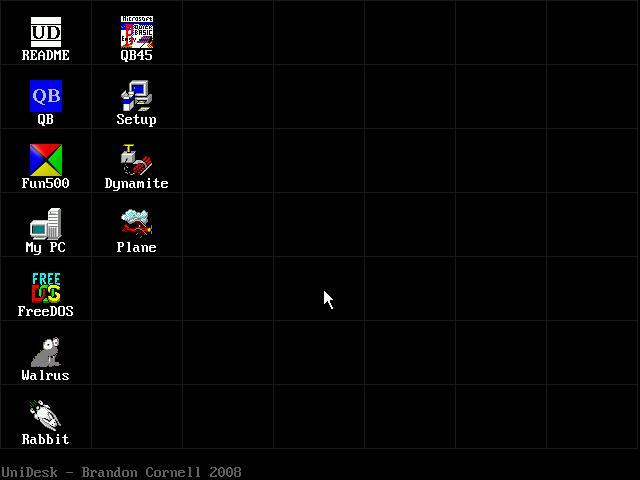 The GUI basically displays icons on a grid-like desktop which allows the user to run them when clicked. Other than that, it doesn't do much. It's a simple GUI, which is more of a shell for running programs than a GUI alone.